About nine months ago, Juice Groove Films, digital story tellers, contacted S Maria Louise Edwards about featuring her as a “Local Guide” in their documentary profiles. A representative for the company explained that the premise of the series is a day in the life that would be featured on Local Guide’s Youtube Channel. 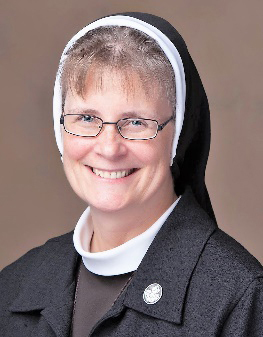 After SM Christopher Moore, provincial minister, approved moving forward, Sister Maria Louise did a short interview and a video shoot that followed her through part of a typical day as well as a visit to a place that she wanted to add to the map in the Pomona, CA, area. Sister Maria Louise said she became a Local Guide because of her passion for helping people and sharing photos. This entry was posted in Angela, Blessed, Church, equality, Felicians, google, healing, homeless, HUMAN DIGNITY, MINISTRY, NEGLECT, reflections, scripture, sick on September 21, 2018 by CSSF.